I had the pleasure of being a bridesmaid in my good friend’s wedding this past spring. Being a part of the lifetime union between two amazing people was one of the highlights of my year thus far. 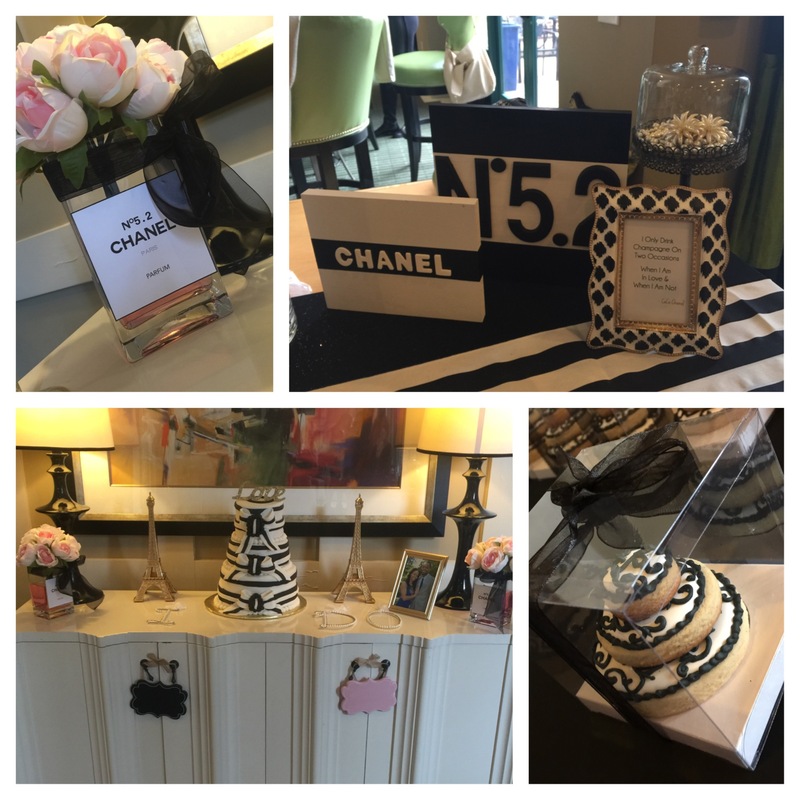 For the beautiful bride (who is now Mrs. Monroe) we decided to throw her a Chanel Inspired Bridal Shower. This elegant and classy theme was perfect for Mrs. Monroe as she herself is elegant, classy and beautiful. I love being able to participate in my friends’ life changing events and having the opportunity to show my love and support. 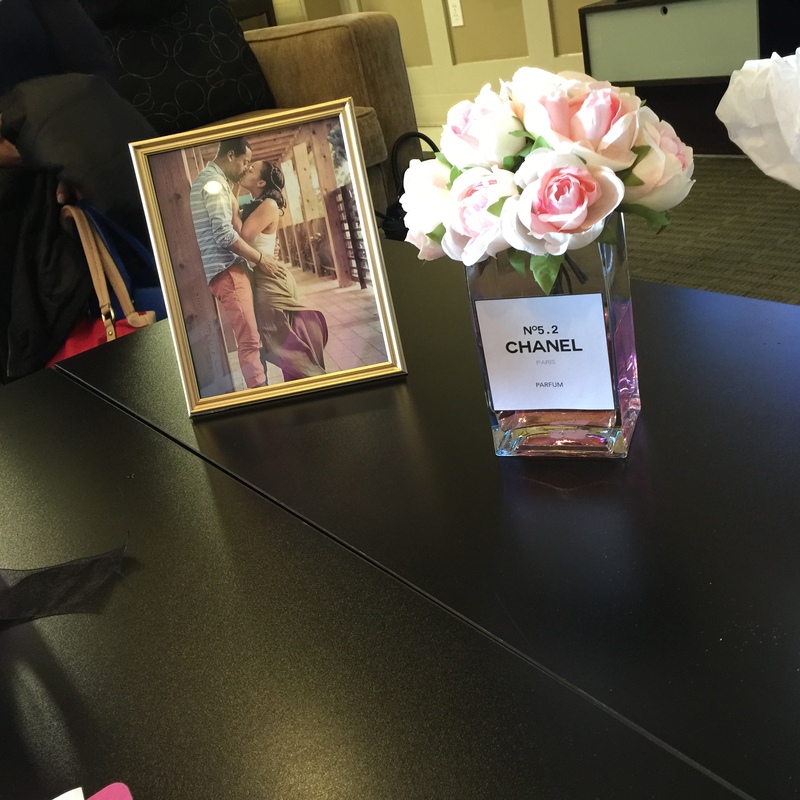 The Bridal Shower centerpieces were Chanel No. 5 Inspired Perfume vases with artificial white roses with a tinge of pink. We also added a little bit of pink food coloring to the water in the vases. Of course we added the Chanel No 5.2 Perfume Label on the vase as a symbol of the Monroe’s Wedding date. In total, I think we made 6 centerpieces which ended up being decor in my home office :). The vases were really inexpensive being only $1. You definitely can’t beat that. 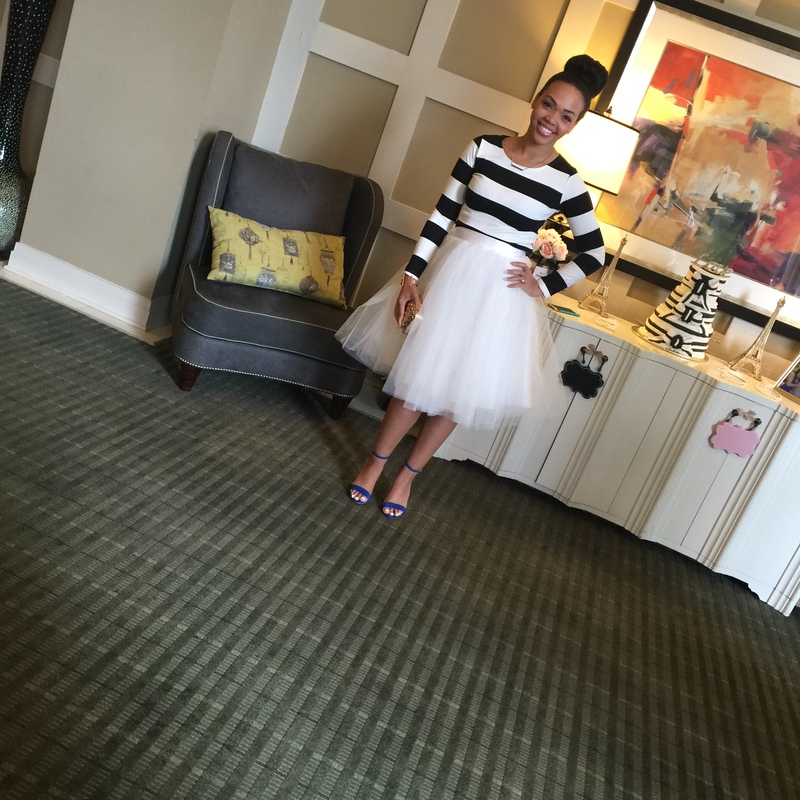 The cake was a beautiful three tiered cake (black and white of course) purchased by her sister/maid of honor Lauren. 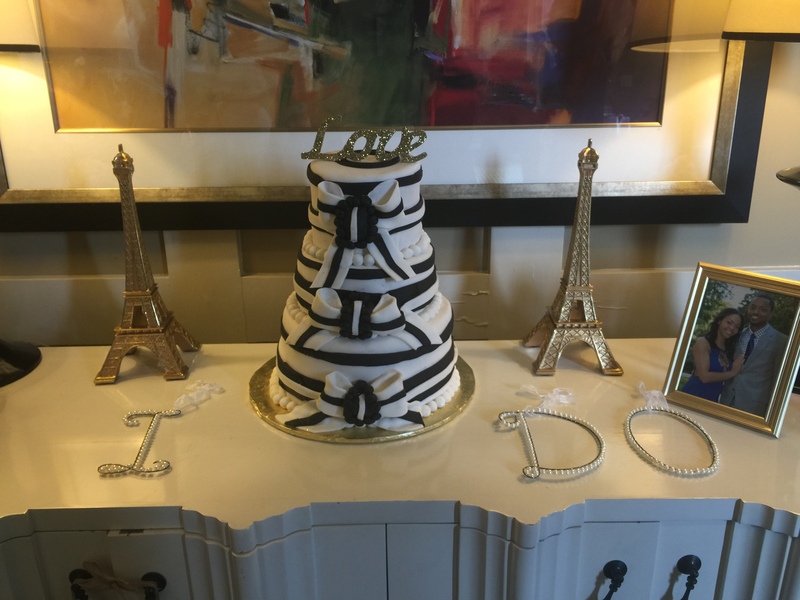 We coupled the cake with the centerpieces, two golden eiffel towers, “I DO”, and a beautiful picture of the Monroe’s. 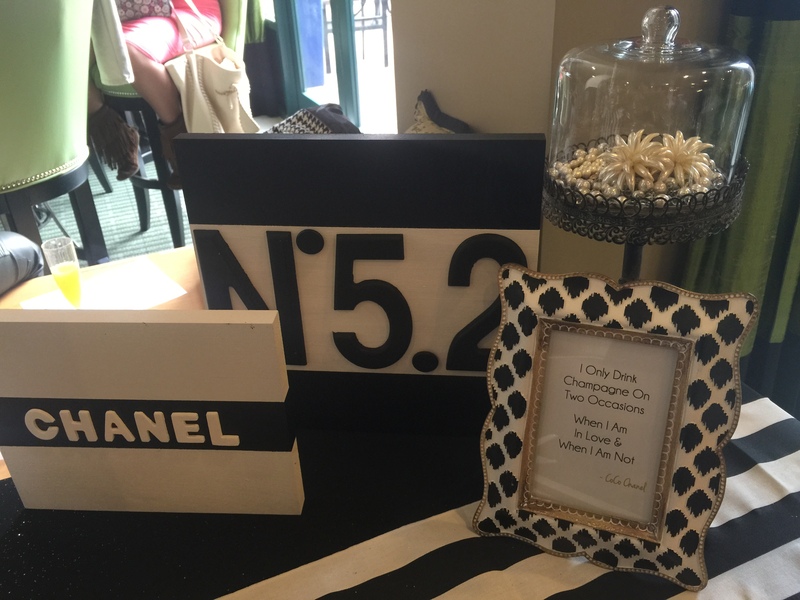 This decor was part of the Mimosa Bar which of course reflected the Chanel Theme with the quote “I only drink champagne on two occasions: when I am in love and when I am not” by Coco Chanel. Of course for this occasion it was to celebrate love (wish I could insert the emoji with the hearts). 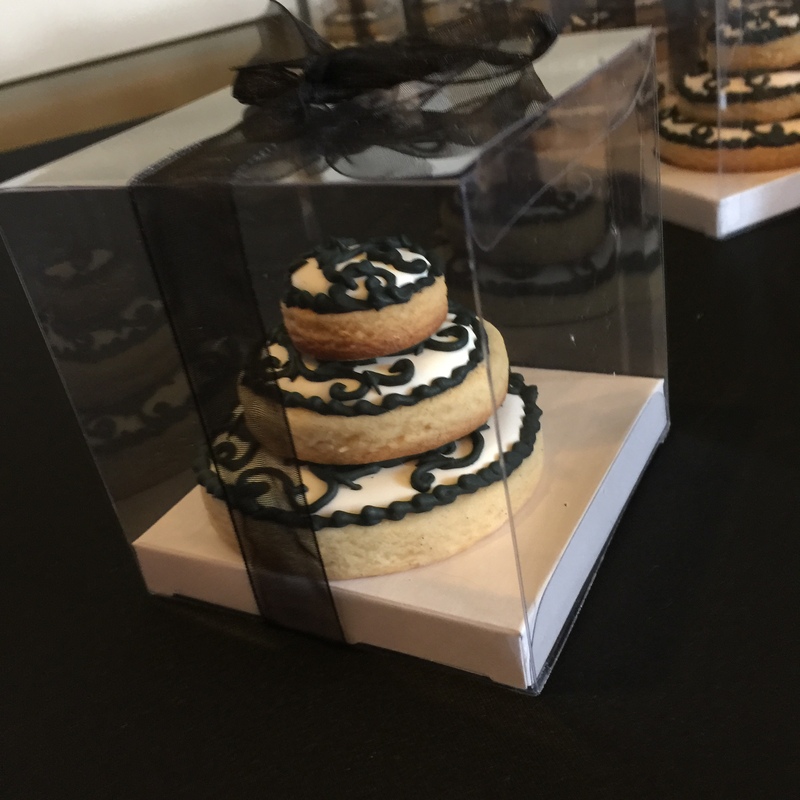 The favors were three-tiered “wedding cake” cookies given to the family and friends in attendance. I will post the recipe for these favors soon. I absolutely love baking and was extremely proud of myself making these. My mother actually saved hers just for the decor aspect. So that made me feel special. I do hope that she has thrown them away by now. Here is the beautiful Mrs. Monroe! Of course we got to enjoy the wedding in Cabo San Lucas, Mexico.